SPECIAL REPORT / The role of the United Nations specialised agencies becomes more important under the post-2015 agenda, because they are universal, just like the Sustainable Development Goals, UNESCO Director General Irina Bokova, told EURACTIV in an exclusive interview. 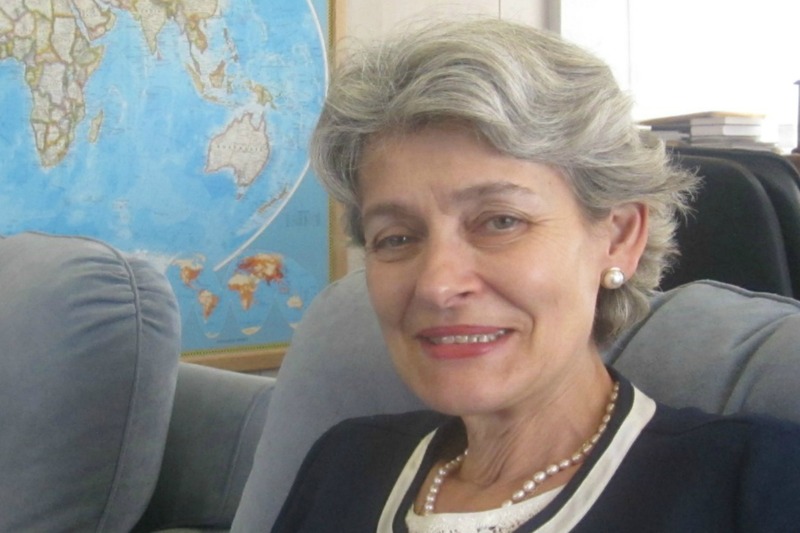 Irina Bokova is a career diplomat from Bulgaria. She served as her country’s deputy minister of foreign affairs, where she was responsible for European integration. She is serving a second term as director general of UNESCO, the United Nations Educational, Scientific and Cultural Organisation. She was speaking to Georgi Gotev, EURACTIV’s senior editor. The EU and the UN do a lot of things in common, but they appear to be distant galaxies. Not many here in Brussels understand what exactly is going on in the UN world. Can you describe what you are doing to impact on the SDGs, which will replace the MDGs? I am myself the chair of the High Level Committee on Management (HLCM) under the Chief Executives Board, chaired by UN Secretary General Ban Ki-moon. This is a body bringing together all the directors of [UN] agencies and funds. There are three committees relevant to your question, one is HLCM, and the three of us, with Helen Clark, the chair of the United Nations Development Group (UNDG), and Achim Steiner from UNEP who is chairing the High Level Committee on Programmes, recently participated in a two-day discussion in the framework of the Economic and Social Council (ECOSOC) dedicated to the post-2015 agenda. Several very important issues emerged over the discussions. Firstly, the relevance of the United Nations system. This is about the general situation in the world, about the biggest cross-sectorial issues which affect development. This is also about the way in which the post-2015 agenda needs to be intertwined with COP 21, with climate change and with the results from the Paris conference next December, which we hope will produce a strong agreement. Secondly, we discussed the issue of financing for development, which on the one hand includes increasing national spending, but also stimulating development via national politics, in terms of fiscal policy, budget policy and the participation of private sector to development. Another major issue is related to the role the [UN] specialised agencies. The position I presented is that their role increases under the post-2015 agenda, because these agencies, which are inter-governmental, are closely related to national policies and work for real change of public policies. But on the other hand the agencies are universal, and the future Sustainable Development Goals will be universal as well. The United Nations agencies are par excellence normative, standard-setting, upstream working, they are capacity-builders and they are universal. From this point of view there is no doubt that the role of specialised agencies should increase. But the big question is how the UN would be fit for purpose. This relates to the UN reform, and here, in my capacity of chair of HLCM, I can say that the world organisation is engaged into a very serious discussion about Delivering as One, and how to move toward a new generation of Delivering as One, that business as usual is not an option, that we need to radically change our way of working. Secondly, this relates also to the UN staff, about new competences and changing the way we interact, including within our own institution, this relates to data revolution, which should come to life, because it is simply impossible to put in place politics if this is not based on a very serious analysis. And thirdly, this is about the real indicators and measurement of the SDGs. I realise this sounds complicated, but I can translate it in more simple words. The issue is to make sure that the UN would deliver under the post-2015 agenda, because the expectations of the organisation and its responsibilities are huge. UNESCO is mainly known in the EU for its role in the field of education and culture. But there’s more than that? Indeed, UNESCO has responsibilities in many areas of the post-2015 agenda, not only for education, where we play the leading role. We have worked very actively for the oceans to be a goal of their own, through our Intergovernmental Oceanographic Commission, for the science of the oceans, science related to climate change, to acidification, to the pollution of the oceans, for ocean observations system, for the Global Ocean Observing System, for issues related with risk prevention, tsunami alert systems, coastal degradation. All these are issues in our remit deserving a separate analysis about the role played by UNESCO. We worked very actively on the issues of fresh water and sanitation, on water cooperation through the international hydrological programme, on water security, on the nexus between water security, energy security and food security, we have also worked very actively so that the issues of bio-diversity be included through our Man and the Biosphere Programme. We worked very actively and I think we achieved very good results so that cultural heritage and Cultural and Creative Industries to be part of many of the SDGs. We never aimed at making culture an SDG goal per se, but as an engine of development, as a driver and enabler of social cohesion, as heritage and creativity, culture is included in urban development, in urban environment, the culture diversity as a means to achieve quality of education, as well as in many other elements of the SDGs. When the SDGs will be adopted, I hope that the in the political declaration there will be a text mentioning that apart from specifying the goals, it is equally important to be clear on how to attain them, and that culture is one of the strongest instruments for mobilising the different communities. Because if we put the human being at the centre of the post-2015 agenda, it is obvious that culture should play a major role. I’m not sure if the international community is convinced of the importance of culture, but Islamic State certainly is. The way ISIS destroys human culture, erasing the collective memory of peoples, also depleting mankind of common cultural heritage, is a clear sign of that. It must be difficult for UNESCO to stand against this barbaric behaviour, having in mind that the international community has lost appetite for military action following the wars in Afghanistan and Iraq? Without any doubt what happens in Syria and Iraq is a tragedy for the whole mankind. For decades we haven’t witnessed such a systemic destruction of cultural inheritance, which is also part of the world’s heritage. As we know, Mesopotamia is the cradle of human civilisation, the first alphabet has appeared there, and many of the achievements of mankind, including the idea of cultural diversity, were been born in the Middle East, in Mesopotamia. These extremists persecute minorities, destroy cultural monuments, they engage in illicit trafficking in order to finance their activities, and I call this “cultural cleansing”. The fact that this term has been taken on board and that the latest UN Security Council Resolution has rejected the ideology of cultural cleansing, really shows how important is the role of culture and of history. It is difficult indeed to fight with such a phenomenon, but what gives us courage is that the willingness to preserve the cultural heritage has never been stronger. What we are currently doing, with the full understanding of the responsibility UNESCO has, is firstly to curb the channels for illicit trafficking, to block the financing of the extremists, which comes from drug and arms trafficking, from illicit trade in oil. This is what we are currently doing with Interpol, with the World Customs Organisation, with the UN Office on Drugs and Crime, and I think the latest data we are receiving are encouraging. We recently held a meeting with the participation of experts from the [US] State Department, from big museums such as Pergamon, from the Louvre. I congratulated the International Council of Museums, they are our partner, as I participated to the launch of the Emergency Red List of Iraqi Cultural Objects at Risk, which was first published in 2003 and was recently updated. Also the Red List of Syria objects which they published two years ago is producing results. We are speaking in Brussels [on 5 June], what brings you here? I participated in a conference related to a common project between UNESCO and the European Commission, relative to the 2005 Convention on the Protection and Promotion of the Diversity of Cultural Expressions, which is linked to the issues of cultural industries. With the help of the EU we have jointly created a national capacity to implement this convention, in some countries we have helped the authorities devise their own cultural policy, in other countries we have offered assistance to the so-called creative cultural industries. This is a project which is likely to continue. I have also met with Development Commissioner Neven Mimica, with Silvia Costa, Chair of the European Parliament Committee on Culture and Education. I was also honoured to be received by Queen Mathilde of Belgium, who has a strong interest in UNESCO’s work in the field of education, of preserving the cultural heritage. Ms Costa invited me to participate in September to a discussion on how the European Parliament could better assist us in our activity of preserving the cultural values, in that sense, we have a very active political dialogue with the EU. With [Education, Culture, Youth and Sports] Commissioner Tibor Navracsics we recently discussed the issues of education, particularly in the context of the Sustainable development goals. When you were speaking about the need to reform the United Nations, I couldn’t help myself from thinking that you are seen as a strong candidate to succeed Ban Ki-moon, whose second term expires on 31 December 2016. Even a glossy magazine such as Paris Match said so recently. Are you campaigning already? Actually I’m totally concentrated on my UNESCO work, because we have big responsibilities in this crucial year of 2015. Of course, I give all my support to the leadership role of the UN Secretary General in this field. Also, we work very closely with the French government for the success of COP 21, the Paris conference on climate change. Of course, I am very proud and flattered from the decision of the Bulgarian government to nominate me for the post of UN Secretary-General. As the Prime Minister [Boyko Borissov] and the President [Rossen Plevneliev] have repeatedly said, this is a goal for our country. But for the time being I am entirely concentrated in my work as UNESCO Director General and of Chair of the UN High Level Committee on Management.